Early voters line up outside West LA College in Culver City on Saturday, October 29, 2016. 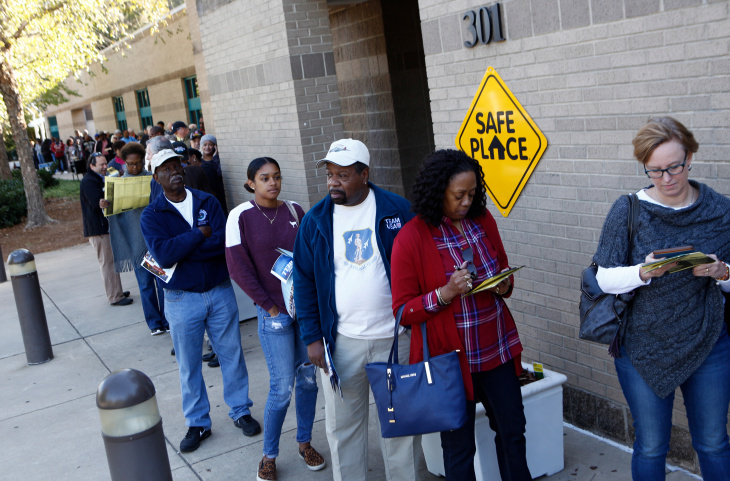 North Carolina residents wait in a line to get into the Charlotte Mecklenburg University City Library to early vote on October 24, 2016 in Charlotte, North Carolina. 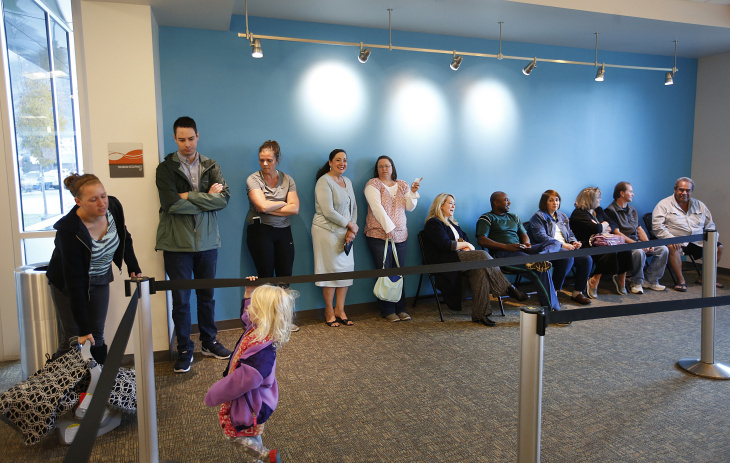 Voters line up waiting for the polls to open at the Provo Recreation Center in Provo, Utah on October 25, 2016. Early voting in the 2016 presidential election begins October 25 for Utah residents and is open until November 4. 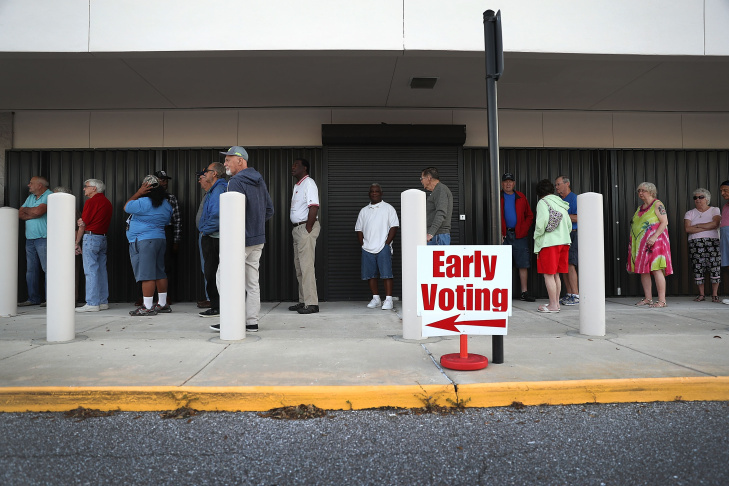 Voters line up to vote early at the Supervisor of Elections office on October 24, 2016 in Bradenton, Florida. Early general election voting started in the state of Florida on October 24 and ends on either November 5 or Nov 6. It's the first weekend of early voting for a half-dozen sites across Los Angeles County — and polling stations are already packed. A line of voters wrapped around the block outside of the North Hollywood Regional Library Saturday. A similar line stretched down the street and out of West Los Angeles College in Culver City. Voters line up at the North Hollywood Regional Library on Saturday, October 29, 2016 as early voting begins. Brenda Duran is with the L.A. County Registrar's Office. She says this doesn't mean crowds will swarm polling places on November 8. "On Election Day, we do have about 4,000 polling places. And these are just five sites in L.A. County that we opened, so there will be a lot more polling places open on that day," she tells KPCC. 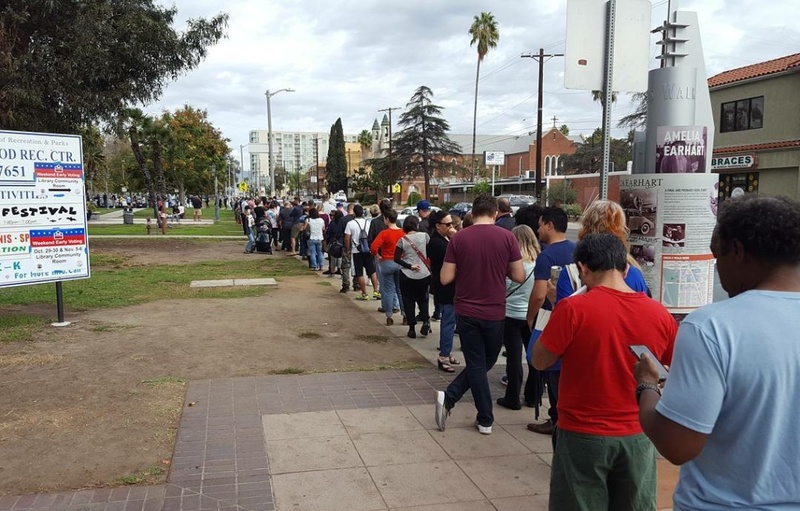 On Sunday morning at 8:31 a.m., David Thibodeau tweeted: "Early voting in North Hollywood is a three hour wait and the line continues to grow - 6 polling booths total inside." Early voters line up North Hollywood on the morning of Sunday, October 30, 2016. 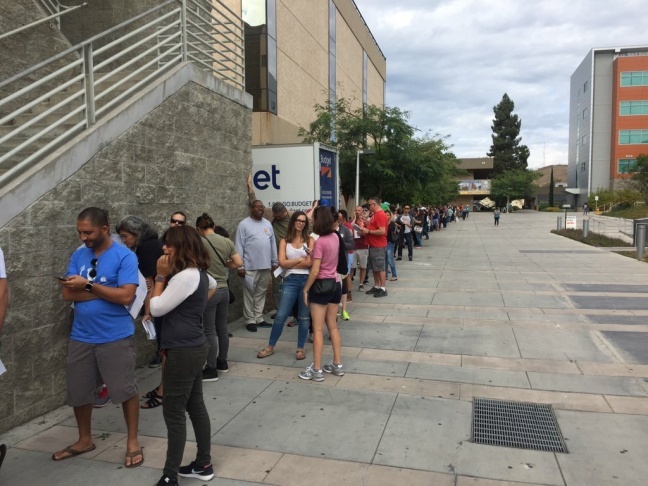 Mike Sanchez, a spokesman for the Los Angeles County Registrar-Recorder, confirmed to the Associated Press that people waited more than two hours during peak times Saturday at voting centers in North Hollywood and Culver City. Sanchez said more than 3,200 people cast their ballots Saturday at five such centers in Los Angeles County. Roughly 5.2 million people have registered to vote in L.A. County. About 2.3 million vote-by-mail ballots have been sent out countywide. Long lines at early voting outposts have also been reported at various locations around the county including in North Carolina, Florida, Maryland and Utah. 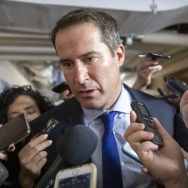 "A lot of people tend to find that when they can fill out their ballot at home, they can take as much time as they want. 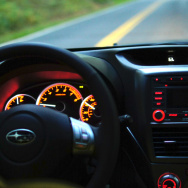 And then also it's convenient if they want to just drop it off in the mail on their way to work," Duran says. Your last day to register to vote by mail is Tuesday, Nov. 1. This election, there's a lot on the ballot. We've gathered detailed explainers on the state's 17 propositions and eight candidates running for Superior Court judge to make voting easy. For practical tips on registering, voting early or voting through the mail, check out our Human Voter Guide. Miss your mail-in ballot? You're not alone.